What Can Orange is the New Black Teach You about Digital Marketing? Digital marketing. A constant fight for supremacy, there are principles and rites of passage that you need to keep close to your heart. But, with the increases of content flooding the web right now, getting out on top can seem like breaking out of prison. We know the value of increasing social media impact and developing a content following. But how can you build your family in digital marketing? One of the most interesting things I have noticed in this Netflix Original Series is that whereas Netflix is quite adept at skipping the themes of other shows, OITNB has quite the long opening. The one-minute-plus Regina Spektor opening could easily distract readers from the show or at a minimum prevent viewers from even getting to the first episode. Well-Hyped: If you have something to promote, promote it well. As with OITNB, skepticism is quelled when a trusted colleague recommends it. Worth the Pain: Think about how much information you want to give to a marketer. Now think about how disappointed you would be if you provided this information and received nothing of value to you. For more on creating forms and following the best practices, check out the Best Practices in lead generation. 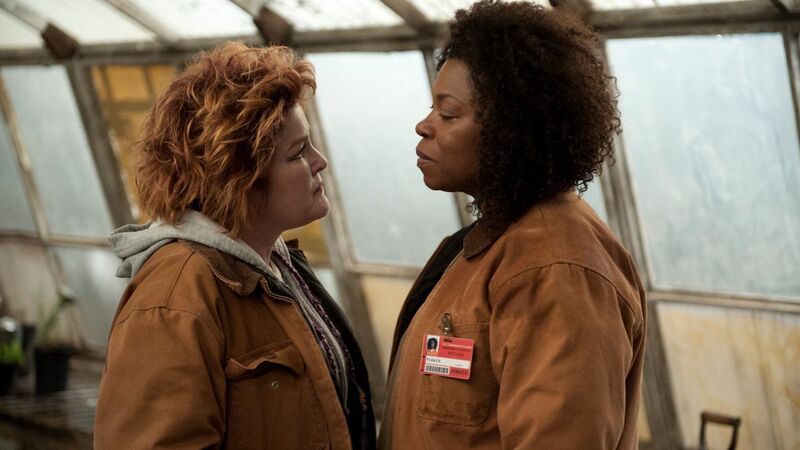 One of the things that hurt Red throughout the first couple seasons is her inability to finish, which led her to an unfortunate attack at the hands of Vee on multiple occasions. Of course, if you don’t finish the job in marketing, you won’t get attacked in a greenhouse; but if you are putting forth the effort, don’t lose your customers because you couldn’t provide the services or support needed to drive sales. Think consistency, think strategy, think success. These three steps will help you align and adapt to changes as needed. For instance, these 3 content marketing ideals will help you develop consistency. Develop A Strategy: Know what you seek to post, when you seek to post it, how you look to distribute it, and how you seek to measure your content. Commit to this Strategy: Now that you know what you look to accomplish, act on getting it done. We’re talking social media family, media family, and your network of contributors. Basically, consider your brand as your family. This group will look up to your brand, respect your posts, link to these posts, and build your influence as a brand. Consider the following in building social media, taken from our social media for startups blog. Through social media you can shape how people view and talk about your brand. You can immediately create a loyal fanbase and adjust your message with the feedback you receive. Know who will provide the most value, how to reciprocate value, how to keep followers loyal, and what rules will benefit the group as a whole. The last thing you need to do is become completely separated from potential customers. Getting sent to the Shoe, especially in digital marketing is losing contact with customers and all-in-all, being sent to solitary. This is two-pronged. The first is not breaking the rules in SEO and becoming silent to searchers on Google. The second, another vital consideration, is to keep an active social media presence. Don’t get hit by a Google Panda or Penguin penalty. Especially in the wake of Panda 4.0, you need to know how to avoid violations that took sites as large as eBay down a peg. Here’s a brief overview of Panda 4.0, provided by Modern Marketing Partners. “Google’s Panda algorithm is designed to prevent sites with poor quality content from working their way into Google’s top search results. Google told Search Engine Land that Panda 4.0 affects different languages to different degrees. In English for example, the impact is roughly 7.5% of queries that are affected to a degree that a regular user might notice. Remember the first season, when Piper criticized Red’s cooking? Or getting on the bad side of Pennsatucky and nearly getting stabbed? Think of the effect that people can have on your marketing strategy. You make enemies with Google, you may get starved out of business. You embarrass an easily agitated hacker, your website could go down. The last thing you need is people detracting from your social media profiles or website. In the wake of the Twitter Mute Button, companies need to continue to build a following without spamming followers or mistakenly hijacking a hashtag. Further, the last thing you need is a negative ‘Web of Trust’ Score, backlinks that hurt your site’s search rankings, or to have your site taken down. Be respectful to influencers and beat writers, don’t hassle the press with stories that aren’t newsworthy, and do not set yourself up for an Amy’s Baking Company-sized Social Media Meltdown.